Today I got an email from one of my favorite local garden centers saying that select annuals and perennials were 50% off. 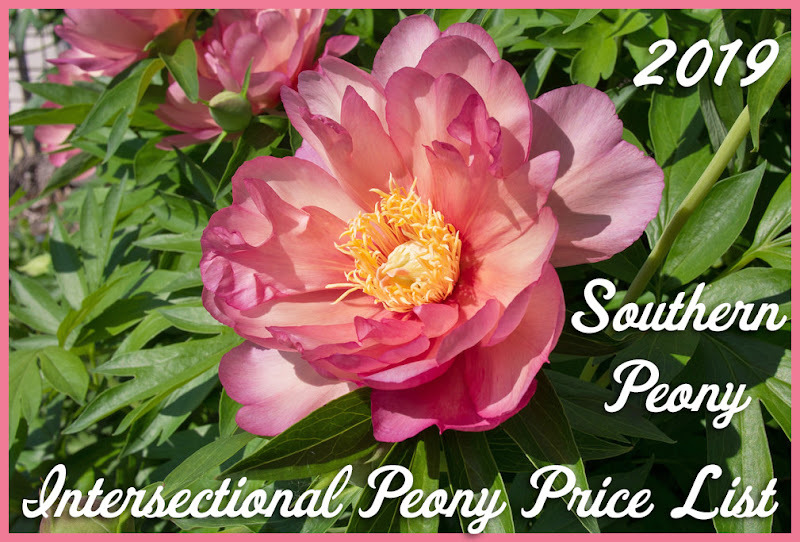 I called them since I was just there on Monday, and the peonies were only 30% off then. They said they would give me 50% off of the peonies even though there weren't yet marked to 50% off. 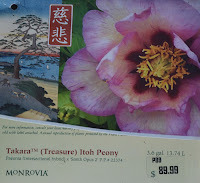 So I went to the nursery right away and picked out another one of the Monrovia Itoh peonies from their Japanese heritage collection. They had two varieties left that I didn't have yet. 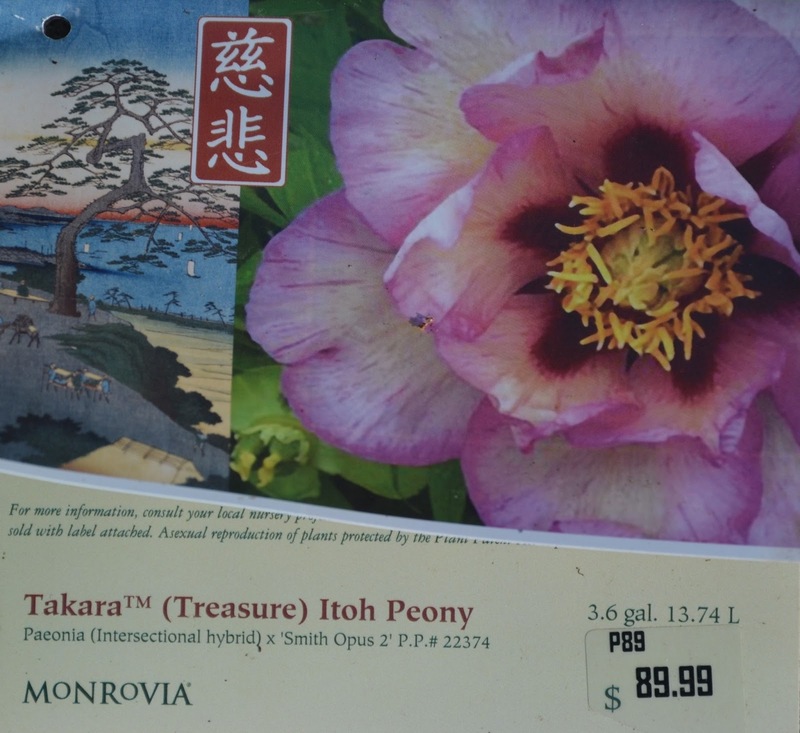 I'd purchased 2013 Monrovia Itoh Peony 'Keiko'™ (Adored) a little over a month ago, and one other variety was already sold out. 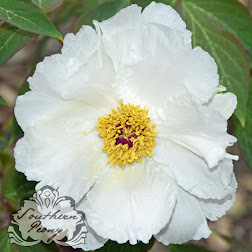 The two they had left were Peony 'Misaka'™ (Beautiful Blossom) & Peony 'Takara'™ (Treasure). 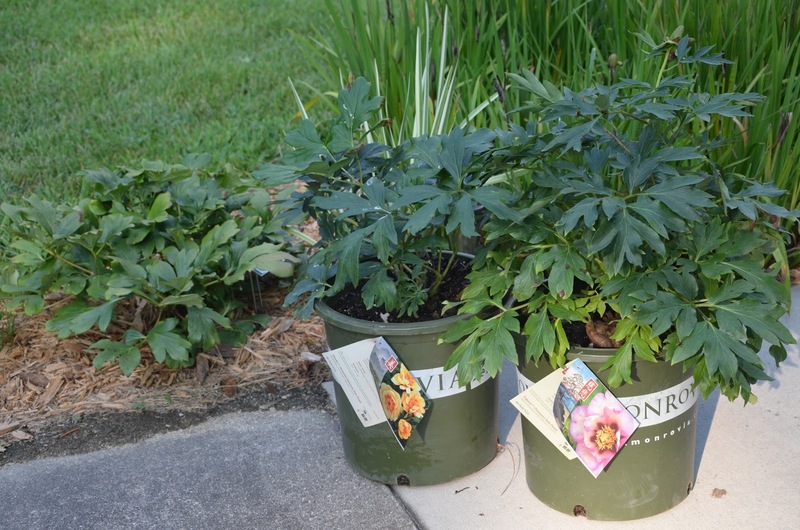 I first selected the Peony 'Takara'™ since it was the largest plant, the foliage looked the healthiest, and it had a seed pod on it (so I knew it had bloomed this spring). I also wanted a Peony 'Misaka'™, but the only two they had left were in bad shape, and even 50% off didn't seem like enough. So I asked the staff member if it were possible that they might take more than 50% off for one of those two since they looked so bad. One had very sparse foliage with some blight, and the other one had lots of stunted yellow foliage, which looks like it might have been from over fertilization. The staff member didn't think they would take anything more off, but agreed to check with the management to be sure. When he came back, he said they would take more off of the plant, 75% off! 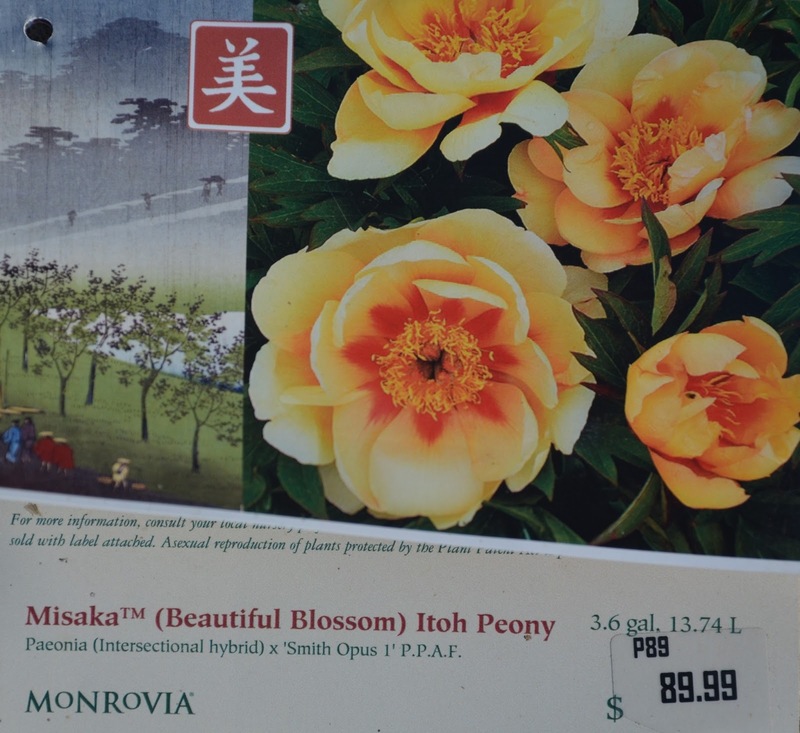 I was very happy at the news, and decided to purchase one of each Peony 'Misaka'™ & Peony 'Takara'™ to put in my Japanese garden. I can't wait to see how lovely these three peonies look next spring when they are all in bloom! That is such a wonderful deal. I have wanted the Mikasa peony for a long time but they were all sold out before they were even going on sale. Great buy!